Mother Nature can be brutal during the winter months here in West Michigan. Heavy snow, storms, and power outages can wreak havoc in our lives if we don't have the right equipment to handle it. Don't get slowed down by the weather--call a licensed and insured West Michigan business to help you through the season. Heavy, wet snow can be difficult to remove, as well as dangerous. 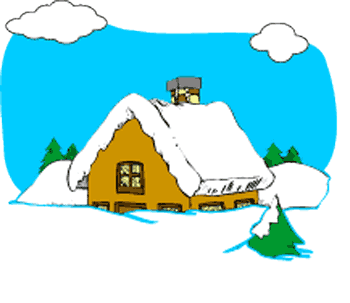 If you have an accumulation of snow on your roof, don't handle the job yourself. Call a local snow removal expert to safely and efficiently get the snow off. You also don't want to shovel this type of snow, as it can be a health hazard. There are numerous snowplowing services in the area that absolutely love snow, but will gladly remove it from your driveway and parking lot so you can be on your way. Many will set up a schedule with you so you don't even have to call when the snow flies. Read about Removing Snow and Ice From Your Roof for tips on keeping your roof free of ice dams. When the power goes out due to a storm or blizzard, you don't want to be left in the cold. Consider having a generator installed so your furnace, appliances, and lights keep working. Depending on the size of your home, the electrician will recommend the right size generator and will handle the total installation. You can rest easy, knowing that no matter what the weather, you'll always have power. Cold weather means it's time for your furnace to do its job, so don't wait to have it maintained. Call your local heating contractor to clean your furnace, ducts, replace filters, and do a total check to make sure it's in good working condition. If you do experience problems with your furnace, they are available 24/7 to come and repair it immediately so you and your family stay warm throughout the winter. Winter doesn't have to be difficult...take advantage of the services offered by West Michigan businesses to get you through the storms. Read about Keeping Up With Furnace Maintenance for tips about keeping your house nice and cozy with your furnace running smoothly in the winter.